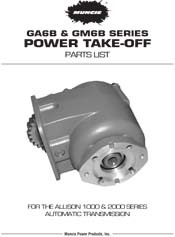 The GA/GM series power take-offs are Clutch Shift style PTOs designed in cooperation with GM engineers for the Allison 1000, 2000, 2400 series transmissions. 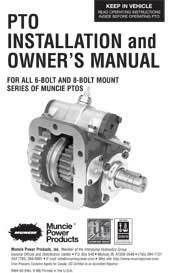 These PTOs are specifically for application on 2001 and newer General Motors 3600 series trucks. 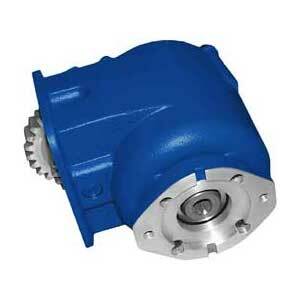 Both models are the same PTO unit with the difference in the shifting and mounting kits required. The GM model requires the use of special solenoid and hydraulic pump tubing, as well as heat shields for the PTO and direct-coupled hydraulic pump. Both the GA and GM utilize a remote mounted shift solenoid and shortened closed bearing cover to keep the PTO size to a minimum. Maximum Torque: 158 lb. ft.
Largest Pump Offered: 2.0 cu. in.